A simple but amusing birthday card, suitable to say "you're amazing" while raising a smile! An original little card, made using my illustration of a delicious joint of ham, studded with fragrant cloves, and the accompanying text "Have A Ham-Azing Birthday". 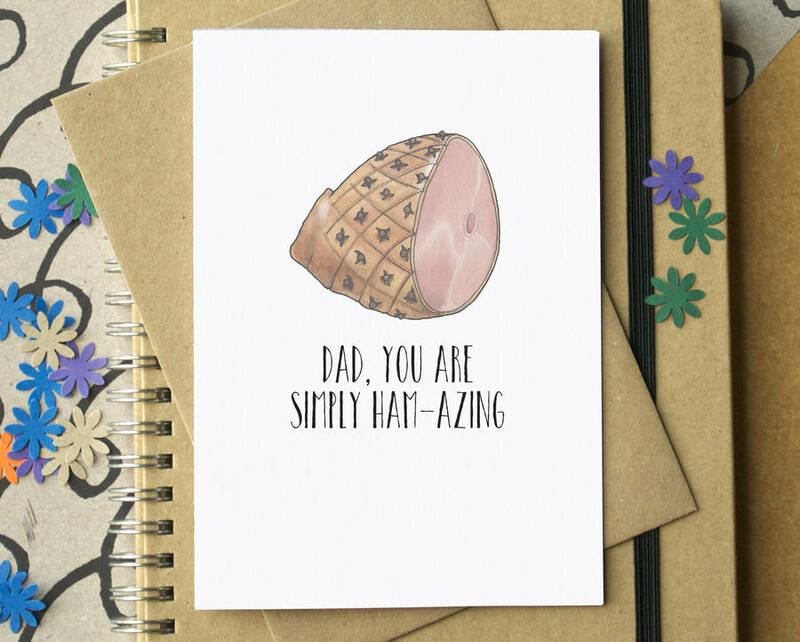 Alternative greetings of "You Are Simply Ham-Azing" or "Dad You Are Ham-Azing" are also available. 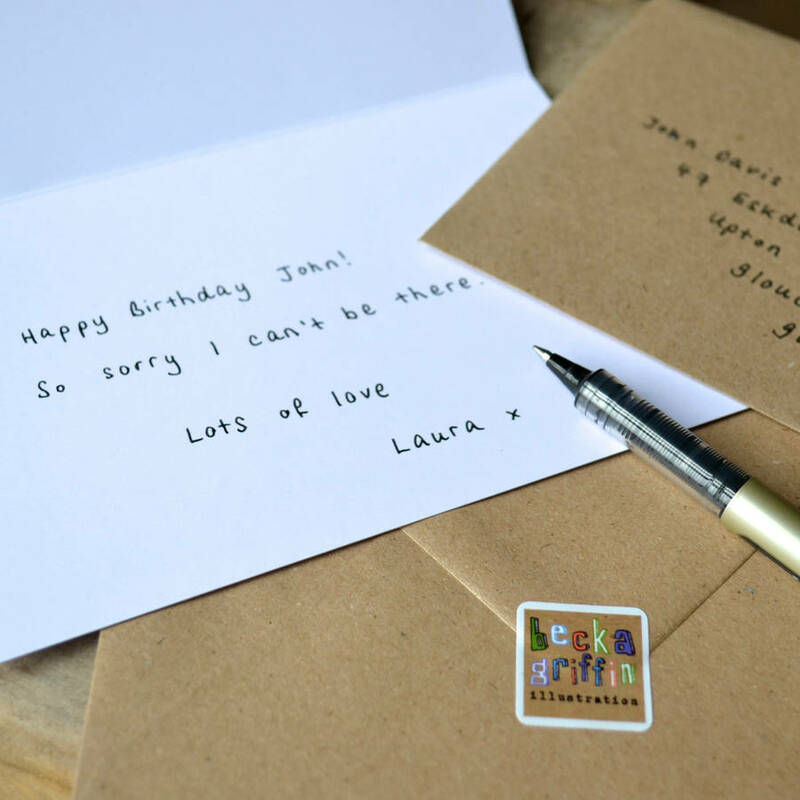 If you'd prefer a different message you can opt for a personalised version. 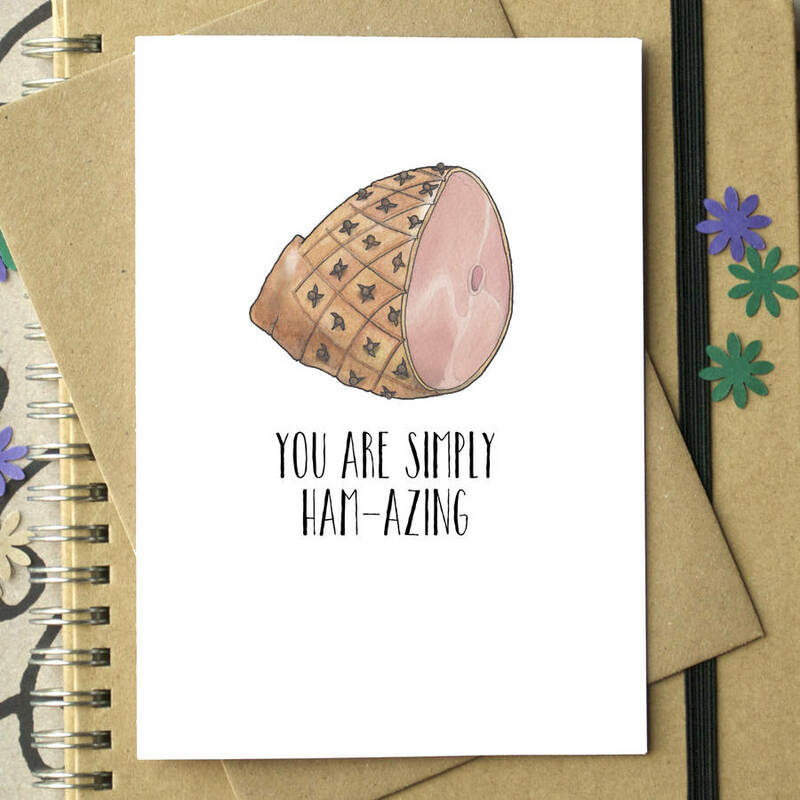 This is a lovely card to give to a dad who's a meat lover, or perhaps a partner who really likes ham. It's also great for someone who loves a good pun. It's left blank inside for your own personal message. It's not such a great card choice for a vegetarian. 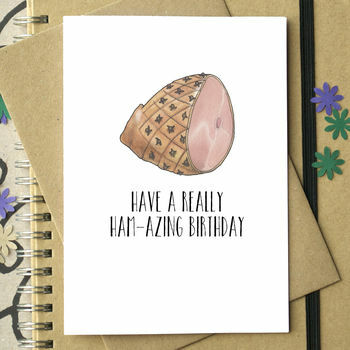 You can choose to have your own personal message on the front of this card - please state the full message you'd like - for example "You're Ham-azing, Amber".